Please fill in all the boxes in the crew list and give all the needed information. We also need you to enter the time of your arrival, even if you do not book a transfer with us. The crew list is sent via our booking system and we need all this information in order to prepare the boat. Make sure you enter all the members of the crew and their passport numbers. The crew list will be included in the boat’s travel documents. In order to be a skipper on the boat, you will need to have a valid sailing license. As a skipper, you need to be aware that you will have sole responsibility for the boat. If you have a sailing license, send it to us before departure. To avoid problems with port police, it is advisable to have a copy of your license in English. If you don’t have a valid licence, you can hire Navigare’s professional skipper. The skippers your hire from us have completed our Charter School and have navigation licenses and experience. We also offer a transfer service from the airport directly to your boat. If you book this service, your driver will wait for you at the arrivals terminal holding a sign with your name on it. Our base staff will help you over the phone, if you have any difficulties finding each other. The transfer needs to be booked in advance. You need to enter your arrival and departure time as well as the number of people needing transfer. Once you arrive to the marina, you can go to our office and ask for the time of the shuttle pick up on the return trip so you are informed from the start. As soon as you arrive to the marina, your skipper should register your arrival by coming into our office. We will tell you the approximate check-in time and provide you with all the additional information about your charter. The check-in of the boat is performed by the skipper +1 crew member and someone from the base personnel. They inspect the boat from keel to mast and check to ensure that all equipment is in place and functioning properly. At check-in, you will also receive instructions on important fuses and operation of the specific model, and will be given instructions about the use of toilet, septic tank and LPG. If some issues are still not clear, please ask us about it! If you detect any malfunctions – just call our service! Once you sign the takeover form, write down any damage so you don’t have to explain it at check out. At check-out you will go through the boat again, and if any damage occurred or you lost any equipment, you will pay for it from your deposit. Please note that sometimes our staff can be occupied by other customers and tasks and your check-in might start or last longer than expected. We kindly ask for your patience and thank you in advance. NOTE: At the check-in make sure you thoroughly inspect the function and condition of the sails, windlass, instruments, motor, oil filter, spare tank, toilet, stove, ropes, rubber dinghy, tools, spare parts, winch handle, kitchenette and safety equipment including lifejackets, etc. When you charter a yacht, you also need to pay a deposit. We will first perform a pre-authorization of your credit card and check if you dispose of required amount on your account. If everything is fine upon check-out and you don’t have to pay for any damage, we will release the funds. The skipper is responsible for ensuring that nothing is lost or damaged. In case of any damage, this will be settled from the deposit. If you wish to order provisioning beforehand, fill in the provisioning list, order the items you need and they will be delivered to your boat. Also, you will often find a store in our bases so you can stock up yourself once you arrive there. Contact us for any additional information and we will be happy to help you. Each of our boats has full navigational charts along with the Greek Waters Pilot or equivalent containing excellent descriptions of ports, anchorages and much more. You will also find plenty of information about marinas, ports and anchorages in Boat Papers. If you have any questions regarding weather conditions, discuss them with our staff at the check-in. 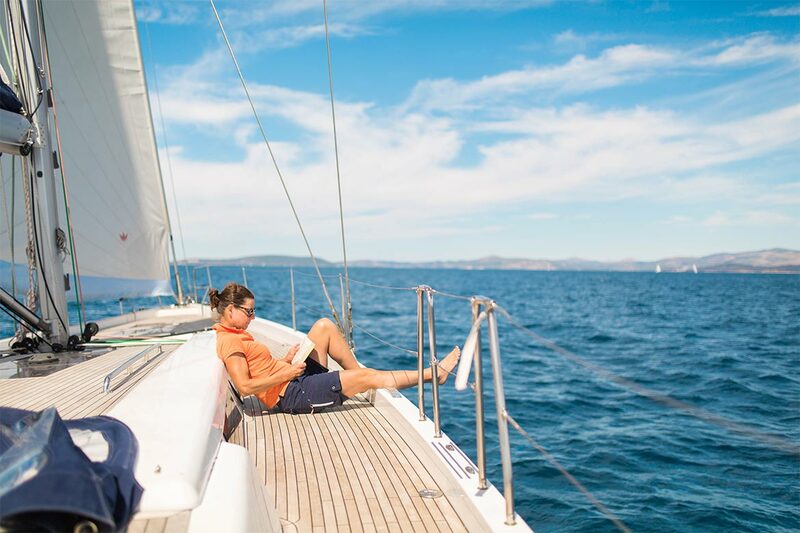 If you book Navigare’s own fleet, you will also receive daily weather forecasts. 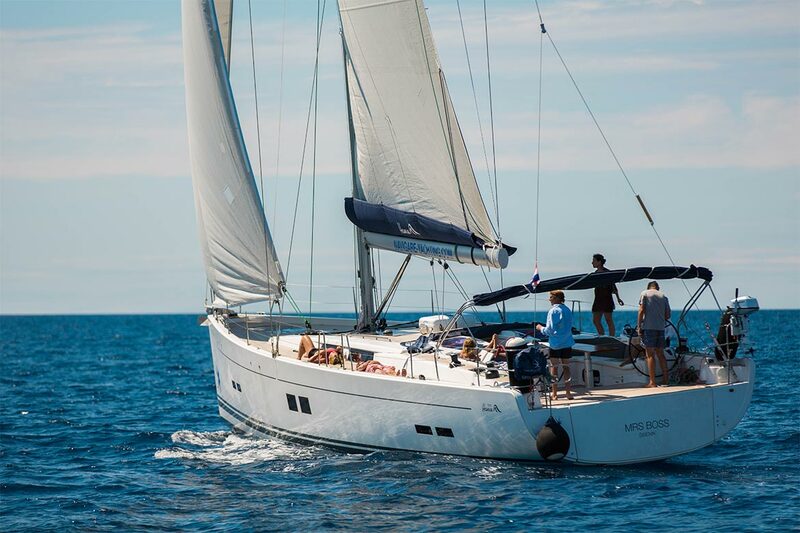 Each of our boats has full navigational charts along with the Adriatic Waters Pilot or equivalent containing excellent descriptions of ports, anchorages and much more. You will also find plenty of information about marinas, ports and anchorages in Boat Papers. If you have any questions regarding weather conditions, discuss them with our staff at the check-in. The boat should be returned to the harbor the night before the check-out (usually Friday night), that is, not later than 6:00pm hours before the end of your charter. It is very important to contact our office, if you do not think you will be back on time, e.g. due to unfavorable weather conditions. Check-out can already be done on Friday night as long as there is light or on Saturday morning. Obviously, you will have full access to the boat until 09:00pm the next morning (usually Saturday). At check-out the boat will be inspected once again to make sure there is no damage or any items missing. Any damage, missing equipment, etc. will be compensated from the deposit. At check-out you will go through the boat again, and if any damage occurred or you lost any equipment, you will pay for it from your deposit. DON’T FORGET:A valid passport and driver’s license, personal insurance policies, European health insurance cards, travel services, ticket / booking confirmation … and sunscreen!